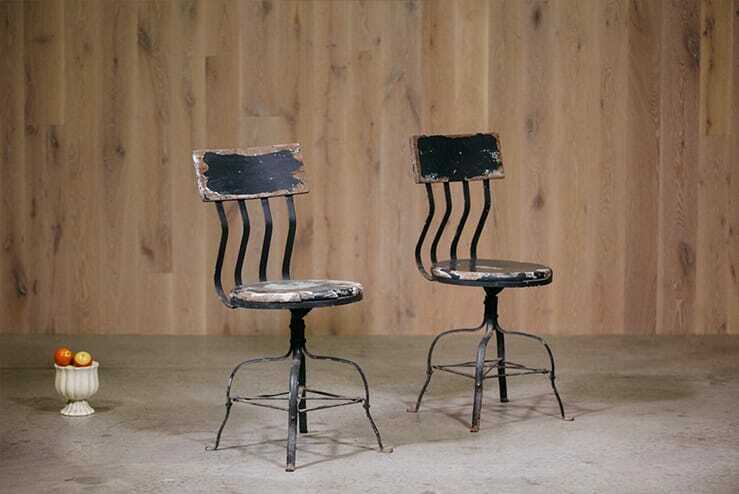 Pair of early 20th century switchboard operator chairs. Heavy strap construction. Metal legs with wooden backrest and swiveling seat.